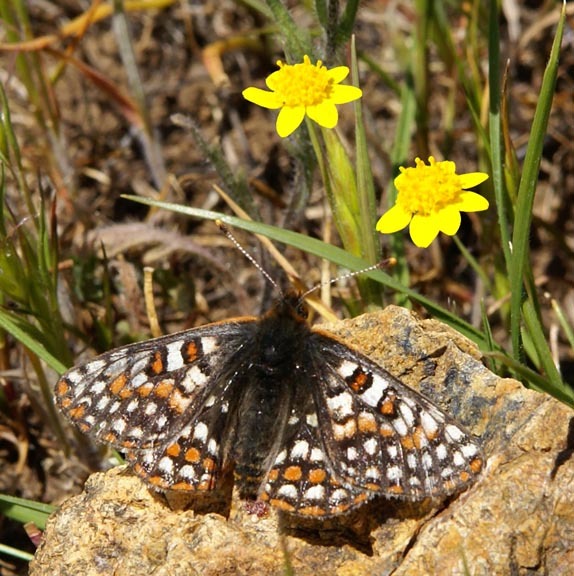 Federally listed in 1987, the bay checkerspot is one of the most studied of endangered butterflies. This one was photographed recently at Coyote Ridge on serpentine grassland, its favored habitat. For more information see - www.butterflyrecovery.org/species_profiles/bay_checkerspot.